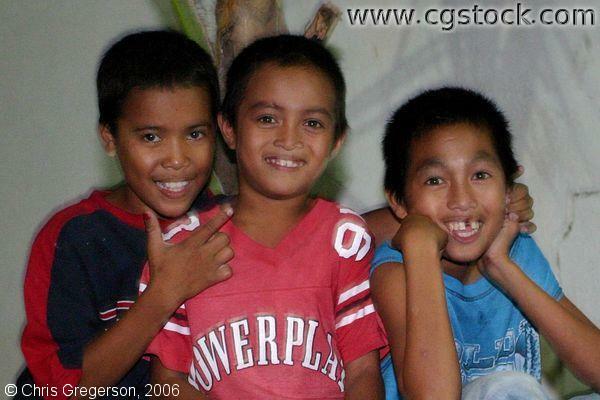 The boy in the center is Reynaldo Areno. His brother is on the right, his cousin on the left. Reynaldo was killed about six weeks after this photo was taken. My Mother donated money for a memorial, which was a renovation to the nearby elementary school (Siteo Pader).